PJ here! 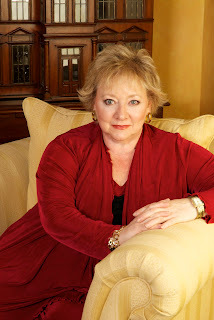 I recently had the opportunity to do a Q & A with one of my favorite historical romance authors, Victoria Alexander. 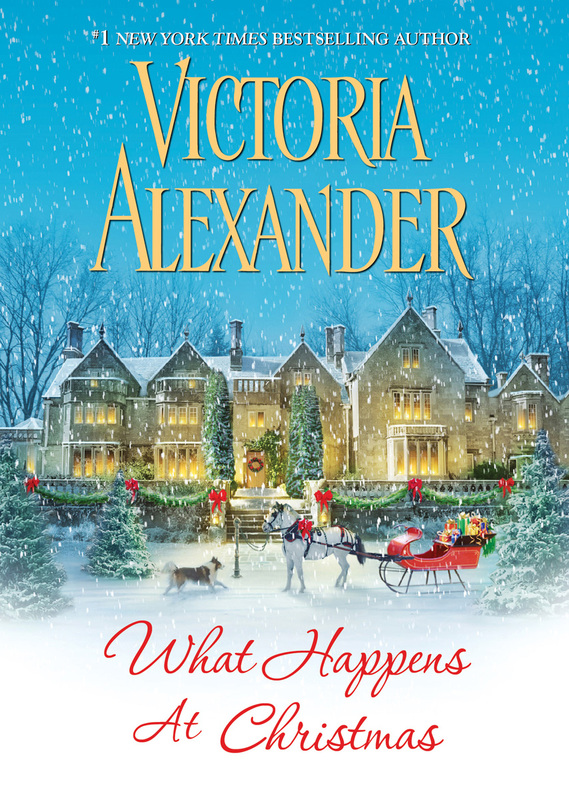 Victoria has a new holiday book out that I'm looking forward to reading. (Some of you recently won copies that should be winging their way to you soon!) It sounds like another winner from this lovely lady whose stories never fail to make me smile. Hope you enjoy the interview - and the book - and for those of you who are long-time fans, be sure to pay close attention to Victoria's response to my final question! Hello, Victoria. Thank you for taking the time to chat with me today. You have a new holiday book, What Happens at Christmas. What can readers expect from this story? What Happens at Christmas is about the widowed Lady Lydingham, Camille, and her attempt to prompt a proposal from the perfect price by giving him a perfect Christmas. To do that she needs a perfect family and hers is anything but perfect. Fortunately, they're out of the country so she replaces them with a troupe of actors. Unfortunately, they're not very good. Even worse, her first love shows up and manages to get a part in Camille's Christmas production. Grayson Elliott swears he only wants to help. Well, one thing leads to another, including chaos and confusion and this will be a Christmas no one will ever forget. Many of your earlier books are set in England during the Regency but this one has a Victorian setting. What draws your interest to these places and times? I've included a photo (at left) of a hat I won from Victoria in a charity auction several years ago. Isn't it awesome? If you could spend Christmas anywhere in the world, where would you go and with whom? Last year, I watched a Travel Channel program about Christmas in Vienna. It was gorgeous; straight out of a fairy tale! 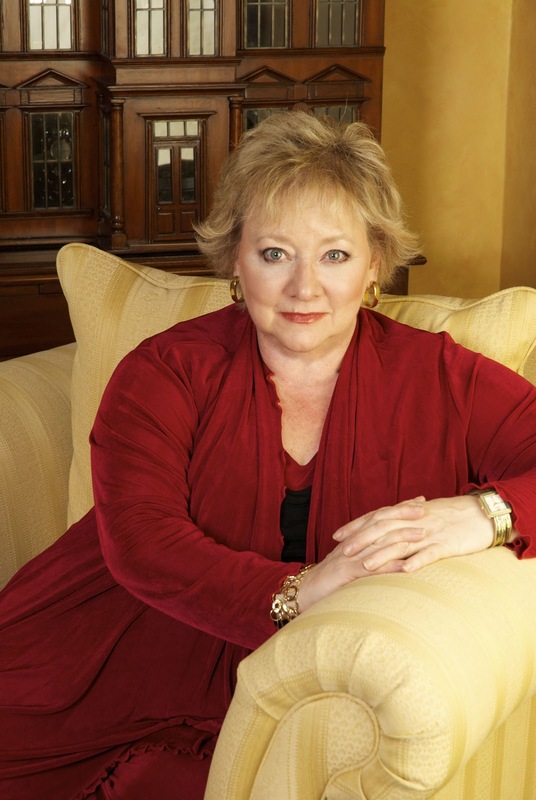 The explosion of social media has opened the door between reader and author wider than ever before – with readers looking for a more personal connection with the authors whose books they enjoy. How has this “new world” impacted your life as a published author? It's made me a lot busier. I'm trying very hard to keep up with it all and I'm focusing my efforts on facebook. I'm doing more personal blog type stuff on my website too. And I have to confess—I'm really enjoying it. I've learned how to do video clips at my desk so I'm starting to talk more than just put up posts. And I'm having fun. I also did a diy book trailer that can be seen either on my facebook page or youtube. This took me back to my television roots and I relearned video and audio editing. So I'll do it again. We meet Lord Stillwell in What Happens at Christmas. The story of his ill-fated engagements—Lord Stillwell's Excellent Engagements—will be out as an e-short on Nov. 26th. His story is told in The Importance of Being Wicked—out in February. The Importance of Being Wicked kicks off a series of stories based around Millworth Manor. Finally, one of my first books, and my only western—The Emperor's New Clothes—is being reissued with a fabulous new cover in the spring. Last, because I always have to ask, any plans to write a story for Becky Shelton? LOL! Someday I will definitely write Becky's story but right now I'm having too much fun with the folks at Millworth Manor. Okay, readers. If you had unlimited funds and could spend Christmas anywhere in the world, where would you go and who would you take with you? I love Victoria's books. I'd want to spend Christmas in Italy. And I'd have to have all of my 7 kids and their families with me. It would be quite a clan . I love Italy!!! I would spend any time of year in Italy!!! Christmas means family, so I'd love to gather everyone up head to my parents. A wonderful time with family up at the coast. It's been a long time since my entire family was together for Christmas. That would be my dream too, Mary. That's the problem with going anywhere for Christmas. I love having my kids at home for Christmas. Thank you for the great interview, Victoria and PJ. I enjoy Victoria's stories because she always has a witty way with words and scenarios and she tells a wonderful love story. If I could go anywhere in the world for Christmas....well, I'm a homebody and love being home or my parents' for Christmas. BUT, I would like to see what Christmas Day would be like in Denmark. We have celebrated it several times in a Danish way, but more of an American-Danish way. I'm a holiday homebody too but what fun it would be to go "back to your roots" for a Christmas celebration. You still have family in Denmark, don't you? I lived in Paris for a number of years and it's a beautiful place to be at Christmas. The lights along The Champs d'Elysees are breathtaking. Our family spent Christmas in different cities in Europe each of which was delightful. However, I am a warm weather person which is why I live in southwest Florida. I've always loved to cruise the Caribbean. If I had the funds, I would love to take my sons and grandchildren on a cruise for Christmas. Of course, the little ones would miss being in their own homes for Santa and such, but I'm sure the cruise lines do special things to make up for it. 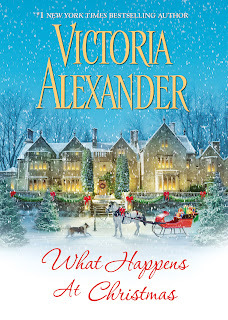 Victoria, I want you to know that I recently read and loved "What Happens at Christmas." It is a beautiful story with a strong hero and heroine. I actually sighed when I put it down. I love your novels and can't wait for your next one. Congratulations on all of your successes and all the best! I have friends who take a family cruise every other Christmas and they all love it, kids included! I lived in southwest Florida for 20+ years but never could get used to a warm Christmas. The rest of the year was great but on Christmas day I always missed the snow and cold of my childhood holidays in Michigan. I was usually over it by the 26th! LOL! My son, bf and I would be heading for the British Isles for a month or so......LOL You did say unlimited funds right? England, Ireland, Scotland and maybe even coast on down to Australia to take a peek at the land down under. LOL! Yes, Dianna, unlimited funds! Sounds like a great trip! I LOVE Victoria's books! As to where I'd go, I think I'd go to Scotland and take my husband and children. It's such a beautiful place, from pictures I've seen anyway. I would like to stay for a month and just go everywhere! I think I could truly fall in love with that country! Scotland is high on my bucket list. I've fallen in love with the country through so many wonderful books that I've read and photos I've seen. One of these days, I'd like to experience it in person. Oh, I'm one of the lucky ones to have won her book here and very much looking forward to reading it. I would love to either take a cruise (to anywhere) or rent a condo somewhere. Somewhere that we all (as many family members that would want to come) could get together to play games and talk and eat and enjoy! I'd head to the UK... but just so some readers know, Ashville, NC and the Biltmore are pretty darn inspiring at the holiday season!! I'll second your recommendation of the Biltmore. I live 90 minutes from there and have been many times. It's gorgeous but never more so than at Christmas. I went to the Biltmore a few years ago with Stephanie Laurens and Samantha James. It was fabulous! Ya gotta love a house where the Renoir bedroom actually has a real Renoir! I would like to go to England since that is where my mother is from. It would be cool to celebrate Christmas there with my parents, daughters and their significant others and celebrate with minced pies, pasties, and carols, etc.. I would love to visit castles and English authors' museum homes. I'd go to Scotland, and I'd take all my family and my closest friends. You can take me too! I would like to go to Australia or New Zealand for Christmas. I would take my hubby, who is my best friend, and my brother and his family. Probably too warm for me for Christmas but we are hoping to make it to Australia in the next few years. "Someday I will definitely write Becky's story but right now I'm having too much fun with the folks at Millworth Manor." Squeeeeee! There is hope!! LOL! I would start in England and end up in Scotland and hit everywhere in between. I'd have to take someone who loves medieval stuff as much as I do for them to enjoy it as much as me. Couldn't very well drag my DH with me as it would bore him senseless. I guess I could leave him to do his own thing while I roamed around out of the way castle ruins and battle fields. I recently read Victoria's Effington Family & Friends series - I was sad to come to the end.